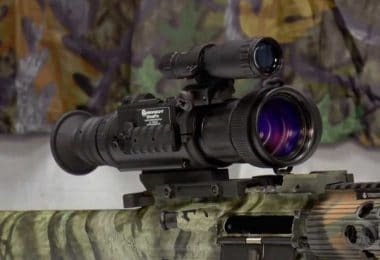 Night vision gadgets have increased in abundance for decades now and we get to see a plethora of night vision optics with different qualities of which, as amateurs, we wouldn’t know that which is the best. Some of you may be well-rounded with the standard night vision optics that are abundantly used to see beyond the naked eye for recreational activities or military purposes. 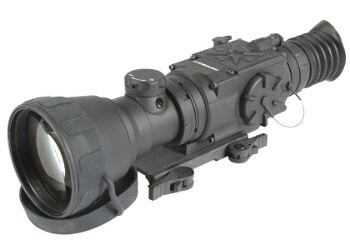 Digital night vision scopes are also gaining popularity with their unique features. 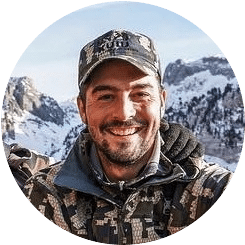 We will compare them below, and review the top digital scopes in our quest to help you find the best digital night vision scope. Further, you can view our comparison list with all the available NV sights reviewed here. The similarity between the standard and digital night vision lies in the amplification of the ambient light to see the target at night. Beyond that similarity, that’s when one starts to see the difference. 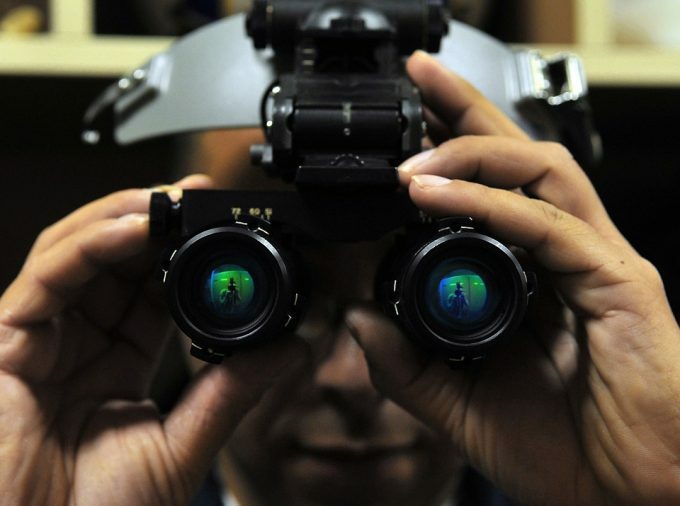 Standard night vision devices are considered to be analog, although not purely analog in nature because of how the chemical process takes place. 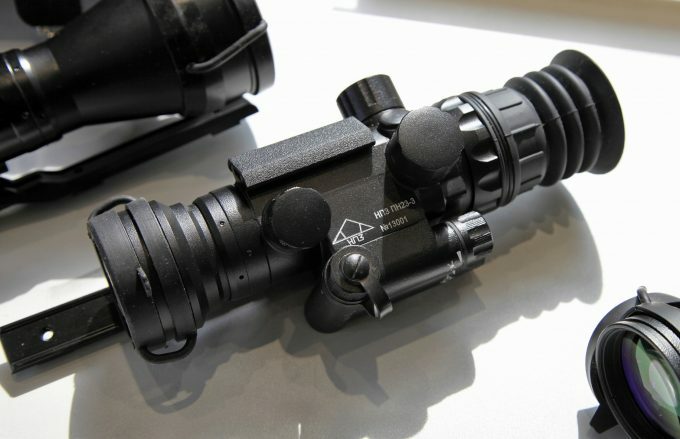 Ideally, the standard night vision optics may collect the moonlight, infrared light or the starlight at night wherein they allow the photons to pass through the intensifier tube to be changed to electrons. The number of the electrons will subsequently be increased through the electrical and chemical processes. They will further be changed back into photons after being sent to the phosphorus screen in the device. The resulting image will appear green. On the other hand, the digital night vision devices do not convert the light photons into electrons. Instead, the optical image is being changed into the electrical signal by using the charge-coupled device image sensor, and that electrical signal will be transferred to the LCD of the digital device where you can view the image. That is the main difference between the standard and the digital night vision scopes. More details into these are beyond the scope of our review. All we wanted was to give you a glimpse so that you can make an informed decision regarding the best scope to choose. 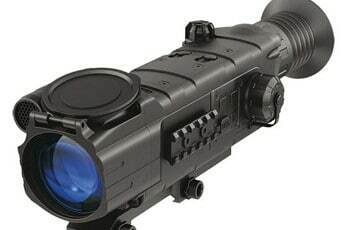 We have further discussed the advantages of the digital night vision scope below. The digital night vision scopes have the relatively high quality to the standard ones and yield images with less distortion. And they are less expensive compared to the standard night vision devices, especially those in Generation 3 category with relative quality. Most digital devices come with SD memory cards for the storage of the footage so that you can view it later on, more especially for recreational activities such as backpacking, hiking, and hunting. They are versatile. Can be used during the day or night without worrying about the bright light affecting their quality or damaging them. Moreover, there are no vacuum tubes in these digital devices because they can be broken with ease. They have plenty of infrared lights to enhance your sight in the darkness. You can also change from the standard green to the gray or red colors. It transpires that the digital night vision scopes have more advantages over the standard night scopes. They can be enhanced by adding some accessories such as the infrared illuminator for more crisp images and high-quality output. This should be the criterion to use in choosing the best digital device among the ones we reviewed below. Other accessories may be the head mount kits for hands-free operations. This will allow you to hold your weapon efficiently. These devices come with two eyepieces with integrated magnification. They have large magnification lenses and thus heavy to be mounted on the head. They are capable of viewing from long ranges, so they will be ideal for you if you are in fond of viewing of targeting enemies or animals from far away.But in terms of magnification, higher magnification doesn’t mean a clearer image. Instead, it means the opposite. The image becomes dimmer with higher magnification. Also, keep in mind that Generation 1 digital night vision scopes have a low quality of images. So, if more magnification is added to such device, the resulting image could be worse. Generation 2 and 3 devices may do well under higher magnification, but not encouraged under some circumstances. To sum up, if you want to view at long distances, binoculars are the ideal devices for you. Monocular digital night vision devices are versatile. The device is basically a single eye unit piece usually with no integrated magnification. It is furthermore compact and lightweight and can be easily mounted on the head for hands-free operations. Alternatively, it can be mounted on the rifle. Camera adapters can also be used with these devices for photography desires. That’s how versatile they are. The advantage with the monocular is that you can exchange your eyes during your night vision whenever the other eye gets tired. Goggles are usually mounted on the head because of their portability. Because they resemble normal eye glasses, they feel so natural when wearing them. And you will find two types of these devices. One entails viewing through a single image tube and the other entails viewing through two image tubes. With the ones where two eyes view independently, navigation is enhanced and has a better depth perception. Goggles are generally better than the monocular devices. However, you have to be vigilant about the weights of these devices because an increased weight can cause strain to your face. Unfortunately, there are no options to mount the goggles on the weapons. They are capable of targeting stationary objects. Some are convertible to be used during the day or night, whereas others are mainly engineered to be used at night only. 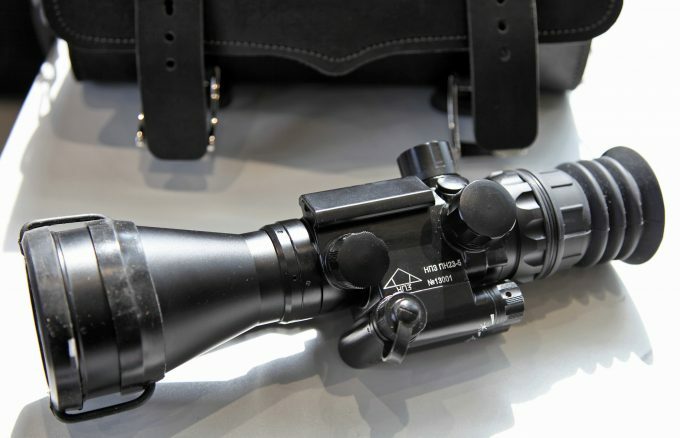 Furthermore, we have the standard and the digital night vision scopes, with the digital night vision devices being the main subject of our review. In addition to knowing these types of night vision devices, you have to familiarize yourself with the category of generations. 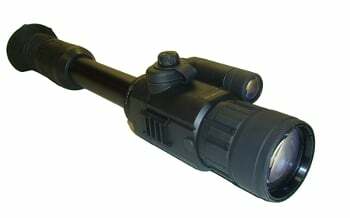 Some night vision scopes fall under Generation 1, 2 or 3. Gen 4 is also available but predominantly a military grade. Among these, Gen 1 devices are considered the low in quality compared to higher generations. The higher you go it is the higher the quality and the higher the prices. Let’s now delve into our review of the best digital night vision devices on the market. 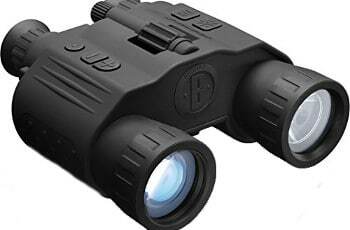 Our products are a mixture of the devices we mentioned above such as the binocular, scopes and the monocular optics. From viewing wildlife at night to keeping an eye on your property a night vision scope comes in handy. Choose one of the following Digital Night Vision Scopes and find one best suited for your individual needs. The Bestguarder Digital Night Vision Monocular is an ideal single eyepiece perfect for a range of night vision applications. 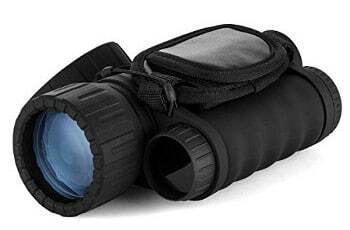 Be it overnight navigation, hunting, wildlife observation or security and surveillance, it will excel in that with a magnification of 6x and objective lens diameter of 50mm. The device is capable of capturing 5 megapixels of images and recording 720p videos. Its integrated infrared illuminator (850NM) is effective to a maximum distance of 350 meters and can be switched off for daytime use. The computer or TV can be connected via their respective cables with this monocular device. This makes it easy to view the recorded footage on large monitors. The device has a wide field of view up to 100 yards and has an outstanding optical clarity. Its eyepiece is manually adjustable. The eyepiece exit pupil distance is 20mm and the eyepiece exit pupil diameter is 18mm. The unfortunate part is that it doesn’t come with the compatible 4 AA batteries. The Armasight Drone Pro Digital is a professional digital scope equipped with a wide range of features that include 10x magnification, adjustable objective lens and eyepiece, and OLED display. Optionally, you can record quality video footages with this device. Its CCD imaging system is sensitive to visible light and near-infrared light. The advantage with this digital scope is that it performs well irrespective of the light conditions. This makes it a versatile device to be used by the inexperienced and experienced hunters. Its unique features include the detachable infrared illuminator, wireless control, and a quick-release mount. After recording quality videos, the device’s NTSC/PAL video input will enable you to connect the scope to the external monitor to view the video. There’s no need to get an additional multi-pin connector to connect the optional external power or the video monitor. Also, noted in this scope are the digital options such as the brightness and reticle pattern/color in order to be more appealing to many users. This digital night vision scope takes a maximum of 3 hours of operations before you need to exchange the 2 lithium batteries or charge them. It is water resistant. And if there are any defects, the manufacturer offers a limited two-year warranty. 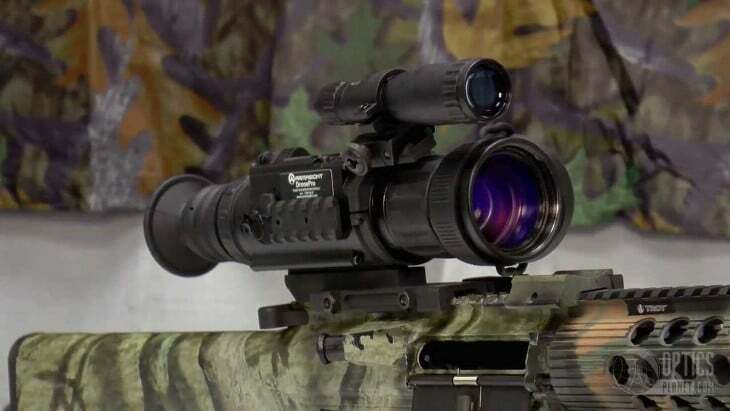 Related: For a lower magnification instead of 10x and lower prices, there is the Armasight Vampire 3X Night Vision Rifle Scope and the Armasight Drone Pro 5X Digital Night Vision Rifle Scope. These are however low in quality compared to the aforementioned digital scope. 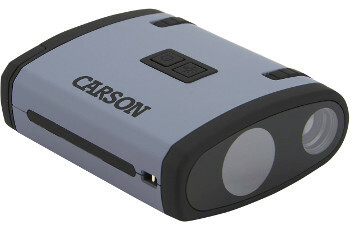 The Carson MiniAura Digital Night Vision assures you that it won’t burn out like some standard/analog night vision devices with the image intensifier tubes. The image appears in black & white and it is clearer. With its 19-degree angle of view, you can view up to 82 feet in the darkness thus enabling you to see your target with ease. You can even fit this monocular device in your pocket because of its lightweight and compact design. That said, you don’t have to go to your recreational activities such as hunting, camping, backpacking or any other outdoor activity empty-handed. Alternatively, you can pack it in the included carry pouch and the wristband. The drawback is that its 3 AAA batteries are not included. The company offers a one-year warranty in case your monocular device gets defects. Related: The Company offers a range of products that include the Carson JK Series Close Focus, Waterproof Binoculars for hunting, camping, hiking, or any other outdoor activity where you might need to get a better view on something during the daytime. Specific features: 33% longer battery life than others, features 6 red/green/white digital reticle options, higher magnification. The Sightmark Photon Digital NV Riflescope comes equipped with higher magnification, a longer battery life, and a lightweight design when compared to other devices in the same range. For a variety of applications, this digital riflescope features 6 red/green/white digital reticle options. From these options, two crossbow reticles are designed for 320, 350, 370, and 400fps, two Duplex reticles are designed for varmint and hog hunting, a German-style reticle and a Mil-dot one for holdovers and range-finding. 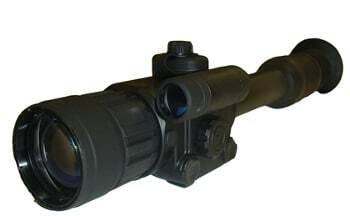 Its 640 x 480 resolution, 42 mm diameter of the objective lens and the 4.6x magnification enable you to see a clear image to a maximum range of 120 yards. In case you don’t want to miss any detail, the video output feature helps record everything for later view. If you need extra accessories to the riflescope, you can do that using the weaver rail and the elevation adjustment system. Related: To enhance your sight at night, you can consider the accessory Sightmark IR-805 Compact Infrared Illuminator Flashlight for better results. The Sightmark Medium Height QD Mount is also worth mounting the scope. The Bushnell Equinox Night Vision Binocular comes equipped with a whole range of night vision features. To start with, it has one of the revered outstanding optical clarities with the unrivaled field of view. The viewing range is 500 feet to help you target the farthest wildlife animals when hunting. You can also zoom the target, take its picture or record its movements so that you can later on or show your friends. Furthermore, the integrated infrared illuminator enhances your nighttime vision to make your activities an absolute breeze. If you hunt in snowy conditions, this scope will not be affected because of its water resistant feature. It will also last you a long time with its powerful battery. Tripod mounting is also another feature worth noting for this digital night vision device. Related: The Company gives you a variety to also choose from with either the Bushnell Equinox Series 6L Night Vision Z or the Bushnell Equinox Z Digital Night Vision Monocular giving you more night vision options. Sightmark products are renowned for their excellence in night vision applications. This Sightmark Photon Digital Riflescope comes with a higher resolution of 640 x 480 and a higher magnification of 6.5X to see crisp footages and videos. It is also featuring 6 red/green/white digital reticle options wherein two crossbow reticles are for 320, 350, 370, and 400 fps, 2 Duplex reticles for varmint and hog hunting, a German-style reticle and the Mil-dot reticle for range finding and holdovers. The diameter of the objective lens is 50mm, thus allowing more light for clear pictures. With a resolution of 640 x 480, you can view an object to a maximum of 200 yards. This is suitable for those in fond of hunting farther away from their camping spots. And in case you want to show your friends and family what you’ve been up to, the riflescope enables you to capture images or record everything with the outstanding video output. The integrated weaver rail helps you attach your desired accessories. Related: Consider the Sightmark Medium Height QD Mount, 30mm/1-Inch to securely mount the scope. 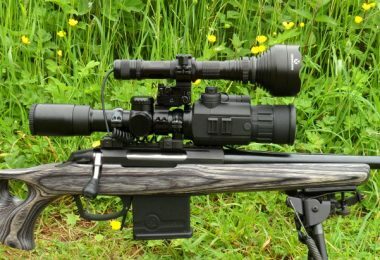 This Pulsar Digisight N550 Digital Riflescope is one of the professional and advanced digital night vision devices we have handpicked due to their outstanding features in electronics and optics. Quite intriguing is the fact that you can mount it on a wide variety of weapons for your hunting activities, and the reticle can be customized. It comes with a 67mm eye relief and 50mm objective lens diameter for clarity on your targets. The scope’s expensive price tag comes with the privilege to customize it to your needs. As already indicated, you can upload reticles of your customization. It also comes with a highly sensitive CCD array. The captured image is transferred to the Monochrome VGA display with a resolution of 640 x 480psi. 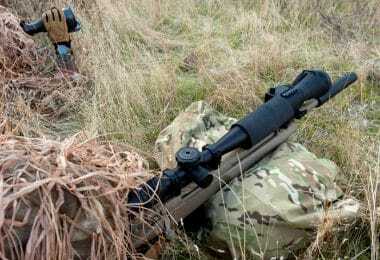 Related: The Pulsar N750 Digisight Riflescope is an alternative product offered by the Company. Outstanding night vision features also characterize it. 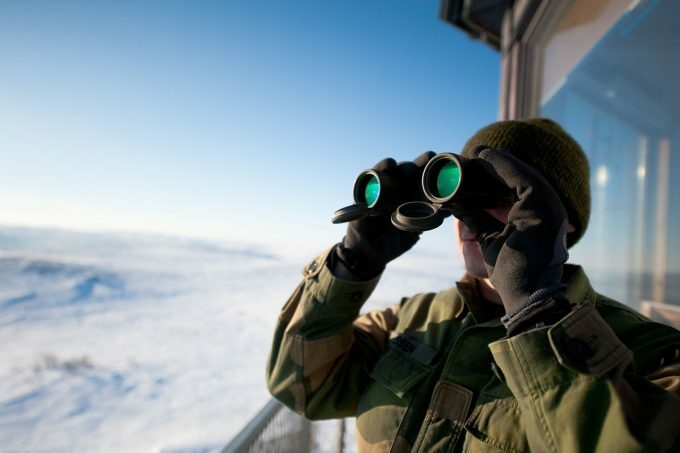 Given a broad range of digital night vision devices such as the binoculars, monocular, and the scopes with their varying applications, it becomes a challenge to quickly pick the one deemed the best. We have given you the key differences between these devices in the beginning, and thus believe that, by understanding them, you will be well-rounded. There are many influential factors that lead one to make a purchase. The best way is to make a checklist of the prioritized features as well as your budget. Some devices may be as expensive as over $1200. Understanding the generations in which these devices fall is also important to see if a particular device is the best or not. We have provided you the top 7 digital night vision scopes with their magnificent features that you’d appreciate for your recreational activities in the dark. 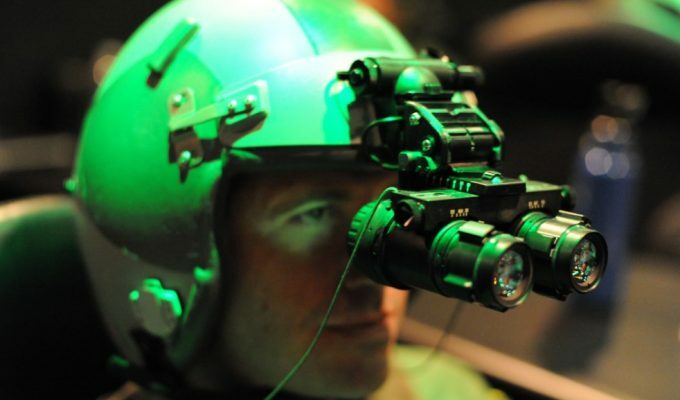 With these devices, your night vision will be taken to another level. However, we urge you to be meticulous in assessing the features for every product. Alongside these products, we have suggested some related products offered by the same manufacturer. We’d love to hear which option you ended up going with, let us know in the comments section below. And don’t forget to share this out with your friends on social media, you never know when someone will be in the market for a digital night vision device.